The Wisconsin Agricultural Education Center (WAEC) has been a vision for more than five years for a group of individuals involved in the agricultural industry. Through their countless hours of research and exploration they have been able to bring this project to a reality. 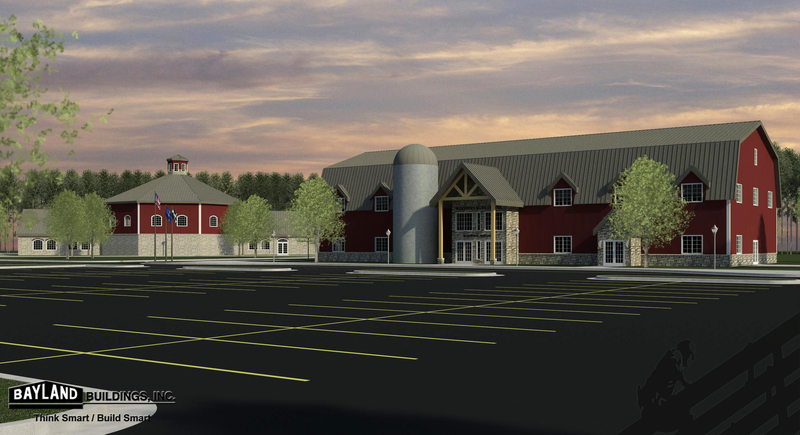 A world-class, interactive showcase for the industry, this original learning and discovery center will focus on sustainable and responsible farming practices. It will provide visitors with the opportunity to connect with agriculture through a better understanding of where their food comes from and the tremendous impact it has on their lives and on those of everyone committed to a healthy world. The Wisconsin Agricultural Education Center has made big strides in making their vision a reality. WAEC has partnered with Lakeshore Technical College and purchased 18 acres of land on the west side of Interstate 43 at exit 144. The location of the new center will be between I-43 and Gass Lake Road at the County Road C intersection. Currently the center is in the capital campaign of the project and has raised 59 percent of the $11.6 million needed to build through receiving a $5 million non-state agency grant and gifts from the Wisconsin Milk Marketing Board and the recent gift of $1 million from Land O’ Lakes.